Wonderfully designed letterpress card. There are only 2 colors in this design but it still delivers a punch. 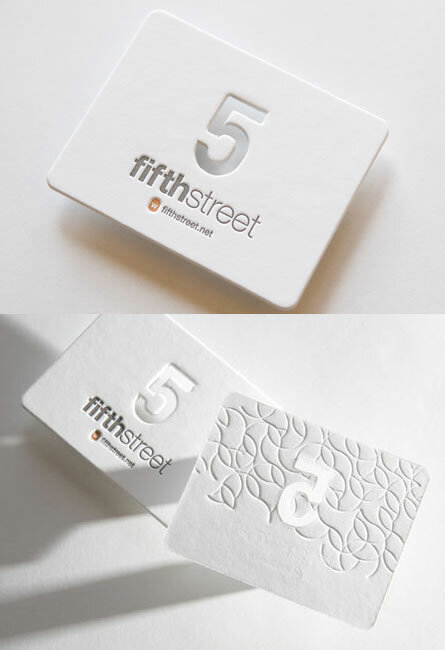 The numeral five is die cut out of both the letterhead and business card. As an added bonus, the client used the hundreds of discarded paper “5s” that were stripped out of the sheets by photographing them in piles and including them in their online presence. Featured in several online design contests, we love this card!